Townsend’s Heating and Cooling, Inc.
For more than 36 years, the professionals at Townsend's Heating and Cooling in Martinsville, Ohio, have served the comfort needs of families and businesses throughout the Tri-County area. Family-owned, Townsend's Heating and Cooling combines honesty, dependability, and our years of experience to offer our customers superior service on every job. We specialize in sales, service and installation of all brands of energy-efficient heating systems such as oil and gas furnaces, radiant floor heating, air conditioning systems, geothermal heating/cooling systems, air purification systems, duct work, and more. When you call Townsend's Heating and Cooling, you can be assured of receiving the area's top HVAC technicians, prompt and trustworthy service, fair pricing, and great results. We are fully licensed, bonded, and insured. Plus, we are A-1 ACCREDITED BY THE BETTER BUSINESS BUREAU. 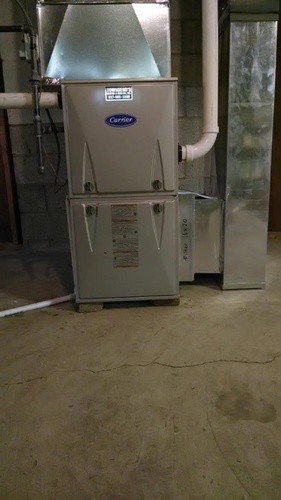 Most important, our long list of satisfied, repeat customers is testimony to the high level of service you can expect to receive, whether you need us to install a brand-new heat pump or keep your furnace operating at peak efficiency with a professional tune-up. For a free estimate or to schedule service, call (937) 685-3500.